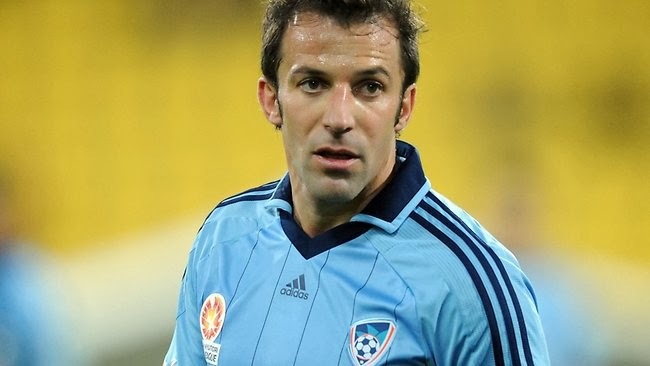 The 39-year old Italian striker is being linked with a potential move away from the A-League club next month but insists he is not about to head for the Sky Blues' exit door. "I do not know what to say about the rumors, because I'm happy here," the former Juventus and Azzurri star said. "I'm focused about this season with Sydney. I do not have other thoughts about other teams at the moment and for me the future is here until the end of the season, and this for me is only rumors." "I know the January window is very big and everyone can move, me too for sure because nothing is forever, but Sydney FC is my intention. "This is what I think, what I want to do. Everything at the moment is rumors."